I’m sure a lot of women out there will relate to this. There are certain things which are always at the bottom of our list of things to buy; however, they always make the very top spot every time we create Pinterest dream boards and Xmas wish lists. Yes, I’m talking about expensive lipsticks, evening bags, cute accessories and the likes. So, if you really-really love your girlfriends, don’t make them wait till December to get those dream goodies, and become a spontaneous Santa for them (no need to rock the beard and a red jumper!). Here is one of my latest presents from this category – a compact mirror from Aspinal of London. Realistically, no one needs such a fancy mirror in red leather to re-touch make up on-the-go. But, at the same time, it makes a woman feel special, and that’s worth a lot more to me. Aspinal is the perfect shop for a treat of this kind, as they do amazing leather goods (both for men and women), which you can personalise with initials. Oh, and the packaging – just look at it! 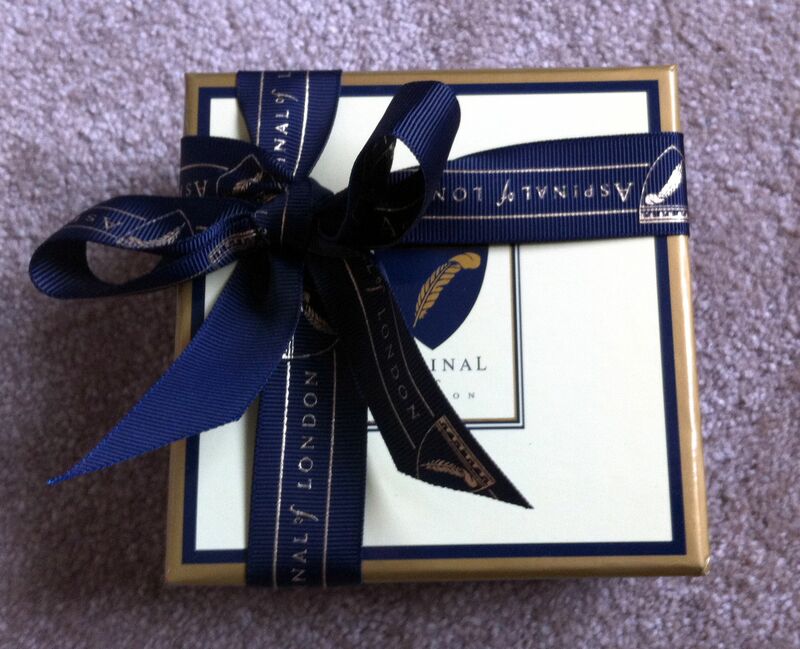 Everything from the ribbons to the quality of the box screams ‘luxury’! Next PostSali Hughes is ‘pretty great’ at gifting – here’s why!